As I wrote in one of my last post (XmlSerializer bug in .NET4.5 and legacy serializer) was the XmlSerializer completely redesignd and rewritten in .NET 4.5. This leads to several problems (see my last post). Also it leads to problems if you use a newer development environmen as you have supported environments in the field. Especially if your application must support .NET4 and you use for development a later VS version (>2010). In this case you might use indirectly Features, which are not available in a pure .NET4 environment. One of the feature affects serialization of “lists”. Unbehandelte Ausnahme: System.InvalidOperationException: Temporäre Klasse kann nicht generiert werden (result=1). 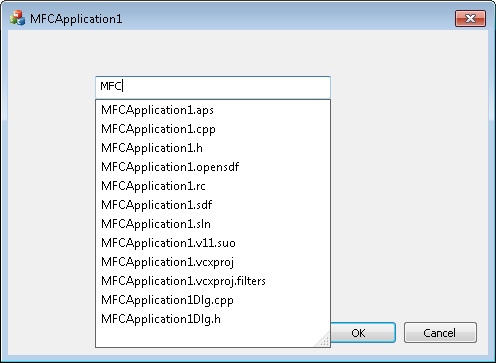 bei ConsoleApplication.Program.Main() in ...\ConsoleApplication6\Program.cs:Line 12. So what is the problem here in .NET4? This entry was posted in .NET on 2016/07/04 by jkalmbach. This entry was posted in .NET, IoT on 2015/12/28 by jkalmbach. If you use VS2013 (with TFS2013) your VS suggest to use a local TFS Workspace. At the first view, this seems to be a good idea… but after a depper look there seems to be a bad implementation, at least in this Version. If you want to enforce “check-out lock”; especially in small teams, this is a good idea, to prevent merges. If your workspace contains many files (or Versions of files), then it uses a hughe amount of space to use the local workspace (ok, this is by design and cannot be changed; the same is true for git). Microsoft recommends a local workspace only for less than “100,000 items” (means files and versions). This entry was posted in .NET, TFS on 2014/08/20 by jkalmbach. Here you will find the presentation and the demos from the session at Advanced Developers Conference C++ in Garching. I hope that you enjoyed it and can use some of the features I showed to you! Just a note to the demos: You must install the Debugging Tools For Windows from the Windows SDK and copy the “Debuggers” Directory into “ADC2014”! Then all examples should work. This entry was posted in WinAPI on 2014/04/29 by jkalmbach. 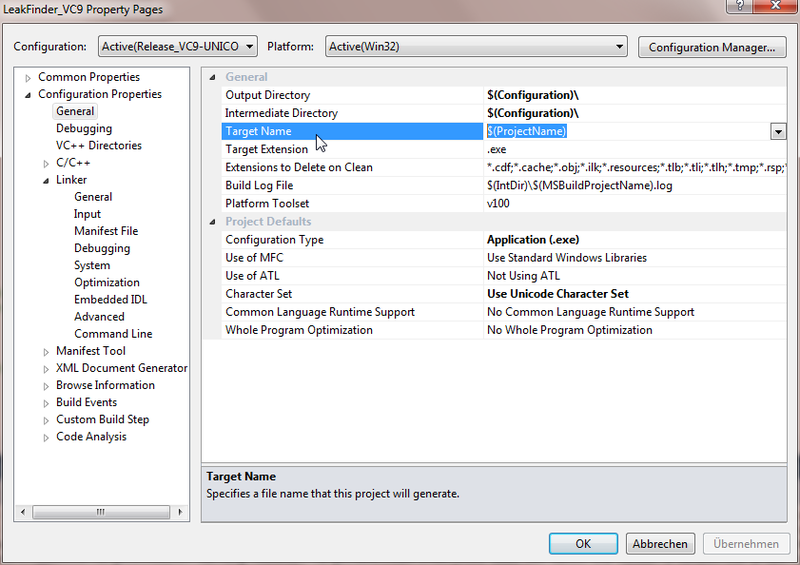 It is still not possible to change the target framework in the VS2010 or VS2012 IDE in the project settings. This entry was posted in WinAPI on 2014/02/06 by jkalmbach. Starting with VS2005(VC8) it was not possible to handle all exceptions in process. I have discussed this in “SetUnhandledExceptionFilter” and VC8 and in Unhandled exceptions in VC8 and above… for x86 and x64. It seemms that the code I posted had been used in many Projects to handle all exceptions and to write a minidump in that case. Also someone has used it in a VB6 application and for this he needed to implement this function in a separate “CrashHandler.dll”. But now he got errors during the shutdown of the VB6 application. It seems that VB6 unloads the DLL before other DLLs and it seems that some other DLL is calling “SetUnhandledExceptionFilter” during shutown. This now leads to trouble, because the DLL is already unloaded. #error "The following code only works for x86 and x64!" This entry was posted in WinAPI on 2013/05/23 by jkalmbach. A woundfull video about gmail; a must see! This entry was posted in .NET, WinAPI on 2012/09/23 by jkalmbach. This entry was posted in .NET, WinAPI on 2010/05/26 by jkalmbach. This entry was posted in .NET, WinAPI on 2010/05/01 by jkalmbach. TargetPath(...LeakFinder_VC9.exe) does not match the Linker's OutputFile property value (...LeakFinder.exe). This may cause your project to build incorrectly. To correct this, please make sure that $(OutDir), $(TargetName) and $(TargetExt) property values match the value specified in %(Link.OutputFile). TargetName(LeakFinder_VC9) does not match the Linker's OutputFile property value (LeakFinder). For example, if you have named your EXE in Debug-Builds: “MyAppd.exe” and in Release-Builds “MyApp.exe”, I suggest that your only change the “Target Name” in the General-Page to “MyAppd” (for Debug) and “MyApp” (Release) or ($(ProjectName) if it is the same name as the project). Then you must also change the “Linker | General | Output File” to the default setting: “” or “$(OutDir)$(TargetName)$(TargetExt)”. This setting is always suggested! If you want to change the output directory, you should the the “General | Output Directory” setting. This entry was posted in WinAPI on 2010/04/27 by jkalmbach. 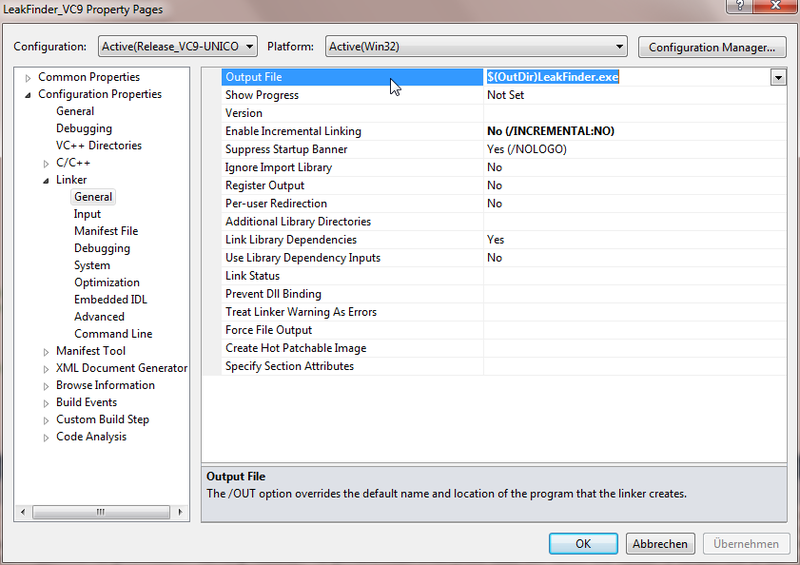 If you have installed VS2008 and/or VS2010 (full), you will notice that OleView is not installed! The product team decided to remove this utility from the tools-folder. Also, the same problem is with the OLE-Test Container (tstcon). This application can also be found in the samples. This entry was posted in .NET, WinAPI on 2010/04/13 by jkalmbach. This entry was posted in WinAPI on 2010/03/22 by jkalmbach. The latest dbghelp.dll (version 6.12.2.633), which can be downloaded via the newest WDK, seems to have a major bug regarding the function SymGetModuleInfo64 (which is used in almost every project, if you want to display module-infos). A user reported this bug in the WinDbg newsgroup. The problem is, that the size of the struct “IMAGEHLP_MODULE64” has changed. They added two DWORDs at the end (the struct has now a size of 0x690 bytes). This is normally not a problem because the struct has a “SizeOfStruct” member, which must be set, prior to calling the “SymGetModuleInfo64” function. But the new version does not support the older version of the struct with a size of 0x688 bytes, which is commonly used because this was the last version since 2003!!! It only supports the older versions from 2002 and before. This entry was posted in .NET, WinAPI on 2010/03/02 by jkalmbach. So I decided to make a quick fix for this behavior. You just need to add the System.Globalization.CultureInfo.InvariantCulture as parameter to the ToString method. IL_0007:  ldstr      "ddd, d MMM yyyy HH:mm:ss"
Now you can copy the patched nntp.dll into the original directory (be sure, the application is not running). Yesterday a new release of “Debugging Tools For Windows” was released. Until now, it was possible to download the package as a single download of about 17 MB in size. Starting with the new release, it seems that the Debugging Tools For Windows is now integrated in the WDK which means to download a 620 MB file. So the question is: Why not provide the setup as a separate download as in previous version? 1. Download and install the WDK. 2. Find the debugging tools link for Windows x86 version on the screen that appears and click to install the debuggers to a location of your choice. 3. After the installation is complete, you can find the debugger shortcuts by clicking Start, pointing to All Programs, and then pointing to Debugging Tools for Windows. This entry was posted in WinAPI on 2010/02/27 by jkalmbach.